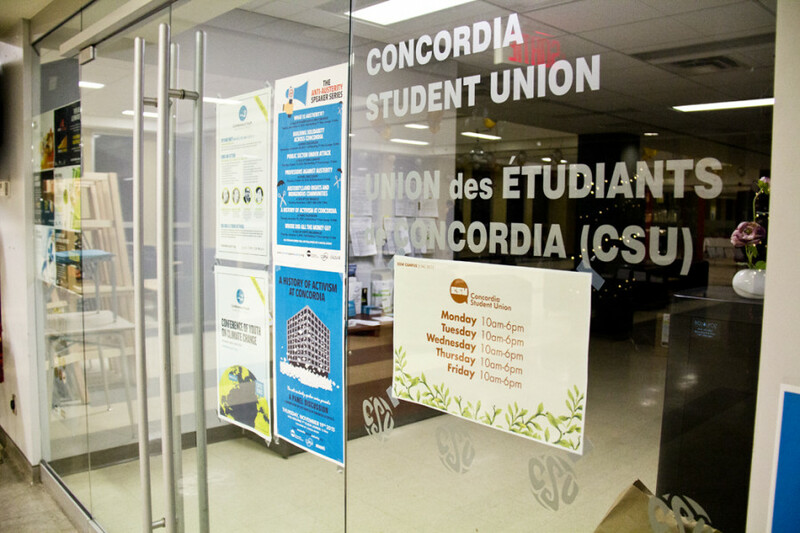 In Feb. 2016, the Concordia Student Union, under former general coordinator Terry Wilkings, finalized their vision for the student cooperative housing project with UTILE, the Unité de travail pour l’Implantation de Logement Étudiant. Now that vision—under current general coordinator Lucinda Marshall-Kiparissis—is slowly but surely becoming a reality. While the details of the land’s location are yet to be released, a plot of land has been purchased in the Plateau. This is steady progress, but there’s still work to be done. “There’s going to be a lot of planning processes to make the project not only just affordable housing for students, but also make it an empowering project,” Marshall-Kiparissis said. Last March, the CSU donated $1.85 million to the Popular University Student Housing in order to pursue the project with UTILE, who will take care of planning and executing the housing project. Yahia would like to focus his energy this year on increasing and fixing student space on campus, and helping clubs secure resources. He would like to see the creation of what he calls a “maker space” on campus. He compared it to District 3, which is basically a Concordia-based incubator for entrepreneurial ventures. Because other people are already working on this initiative, Yahia said he’s not sure whether the CSU will headline it or just offer support. Being socially sustainable is very important for this year’s sustainability coordinator, Lana Elinor Galbraith. “This year my hope is to teach sustainability as an intersectional issue,”she said. One of the ways she plans on doing this is to start a campaign for gender neutral bathrooms, which will start in October. As part of this campaign, she wants to have a panel on the variety of topics surrounding gender neutral bathrooms such as debunking myths, and looking at how multi-stall gender neutral bathrooms have worked at Dawson College. Galbraith has also already spoken to Concordia and the Centre for Gender Advocacy on how to make bathrooms as accessible as possible for everyone on campus. She is also planning a scavenger hunt in October, where people can register on teams looking for the gender neutral bathrooms that are currently on both campuses and rate how accessible they are. Then a map and list can be made. Whichever team gets the most points wins. As the new finance coordinator, Adrian Longinotti said he wants to bring reform to the way the CSU spends its money. Depending on what the money is being requested for, the process would involve looking at the business plan, or projections for the upcoming years. It would also be another way for the finance committee to do more research upon which to make recommendations to the council. “This is students’ money that we’re using, and we deserve to know that proper measures are being taken to make sure the money is not going to waste,” Longinotti said. Peters is looking to renovate some of the Loyola campus to include more poster space, and new countertops for The Hive free lunch. He’d also like for the CSU to aid in a project to renovate the shuttle bus shelter at Loyola. Peters suggested putting T.V screens in the shelter, and setting up promotional material for The Hive, both for advertising and possibly booking purposes. Making equipment more available for different clubs and associations, and attempting to create a larger supply of dishware on the campus so student won’t have to constantly use disposable dishes are also on Peters’ radar for the year. On top of these goals, he’d like to find ways to generate more outreach and connection with the student body. “That’s always been a very traditional problem, and it’s one of the incentives for getting new poster space up and trying to find new mediums to communicate,” Peters said. He foresees an undergraduate survey being conducted at some point in the year to get feedback from students. regarding services on campus. According to this year’s Student Life Coordinator, Rachel Gauthier, students might be treated to an all-new winter orientation. There will also be a clubs fair aimed at encouraging greater student involvement in campus life. As for the fall semester’s orientation, there are roughly 30 events planned over nine days. These include morning coffee every day, street fairs, and open air pubs. There is a small concert planned at Loyola for the campus’ 100th birthday, a show at Reggie’s, and a final concert featuring two local bands, both of which played at Osheaga. The CSU is also providing tickets for with the french festival OUMF. There is also a “Wellness Day” planned that will feature workshops on mental, physical, and social wellness. During her mandate, Sahrane would like to work with the Centre for Gender Advocacy and the Centre for Research-Action on Race Relations to implement training for some of the different services on campus, such as HOJO, the Advocacy Centre, and the Legal Information Clinic, citing an increase in sexual assault cases within those three services. She’d also like to see the rules changed with regards to Senate eligibility. This goal relates back to the tribunals that were held for student politicians involved in anti-austerity student strikes. The tribunals resulted in the distribution of letters of reprimand, two of which were issued to Lucinda Marshall-Kiparissis and Marion Miller—both of whom should be sitting on Senate this year. Attempting to address the issue, the university proposed to change the rule that blocks students with letters of reprimand from sitting on senate. However, Sahrane was not satisfied with the concession. Sahrane plans to hold a student congress per semester, and will continue to work on the upcoming daycare. She’d also like to work with the university on a project to put murals around campus, and on a research project called “Living Knowledge”—which aims to collect information from school syllabi with an emphasis environment and sustainability. Ultimately, though, she would like to support marginalized groups in their work, claiming this is something that the CSU has not been doing. Sahrane would like to increase representation in the union. She referenced an anti-racism committee that has been created, and said she’d like to support the creation of an anti-colonial minor—an idea which the Centre for Gender Advocacy approached her with. As the external affairs coordinator, Aloyse Muller will represent the CSU at the Association for the Voice of Education in Quebec. AVEQ is the provincial student union that Concordia students voted to be a part of during the November 2015 by-elections. This means that the CSU will be able to represent their positions book at the provincial level. With the partnership, AVEQ has gotten their own space in the CSU offices, therefore they will have a presence on campus, but it will be mostly to provide information to students. What’s different about the Fédération étudiante universitaire du Québec, FEUQ, the former provincial student union the CSU was a part of, is that each of the FEUQ’s member unions were weighted based on the size of their membership—whereas with AVEQ, each school’s executive group has one vote. In terms of actual projects, AVEQ will have mobilization camp in late October, which will teach students the history of the student movement, social justice issues, and how to mobilize students on campus. While the CSU will not be a part of organizing, they will be promoting the camp.